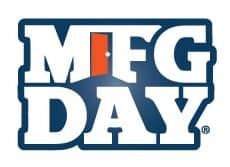 On Friday, October 2nd, Wayne County held their second annual Manufacturing Day. A panel of manufacturing employees from the area who have found success within their careers spoke with high school students to provide further knowledge and insights into the industry and where it’s going in the years to come. Among these speakers, President and CEO of RBB Systems, Bruce Hendrick, shared his experiences with the students. RBB Systems specializes in on-demand assembly and manufacturing of mission-critical electronic assemblies for the industrial, commercial, medical, and military sectors. By embracing recurring small-batch custom assemblies, prototyping and related services, RBB allows clients greater flexibility in meeting fluctuating market demands. That helps reduce wasteful inventory and frees up cash for other uses.